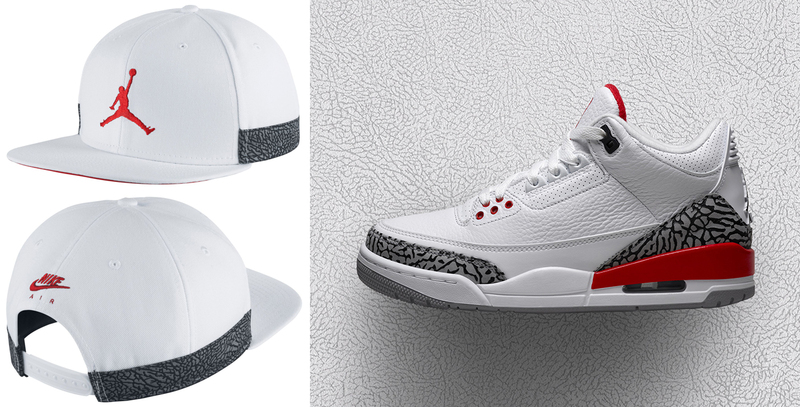 Along with the long-awaited arrival of the Air Jordan 3 “Katrina / Hall of Fame” sneakers comes a roundup of the best clothing and caps to match the highly coveted kicks. 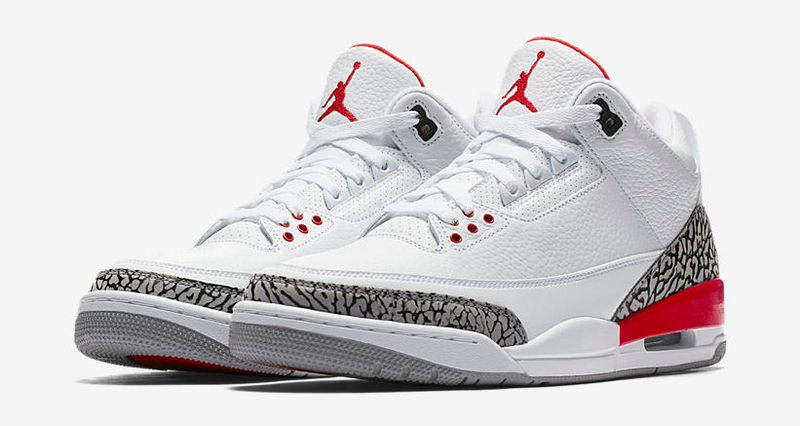 Originally made as a Player Edition, then auctioned in Nike’s community-relief auction for Hurricane Katrina, and later featured in the Basketball Hall of Fame when Michael Jordan was inducted, this particular AJ 3 colorway is as iconic as it gets, and there are plenty of sneaker hook-ups available to match the shoes. 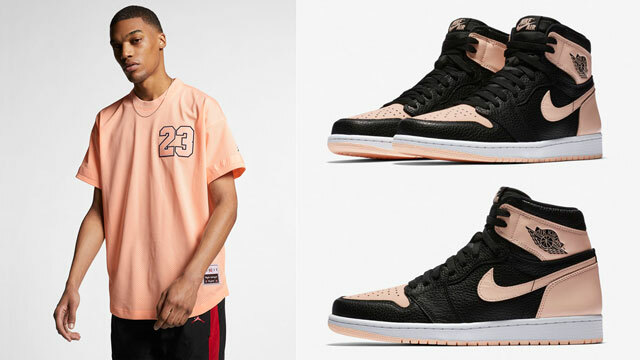 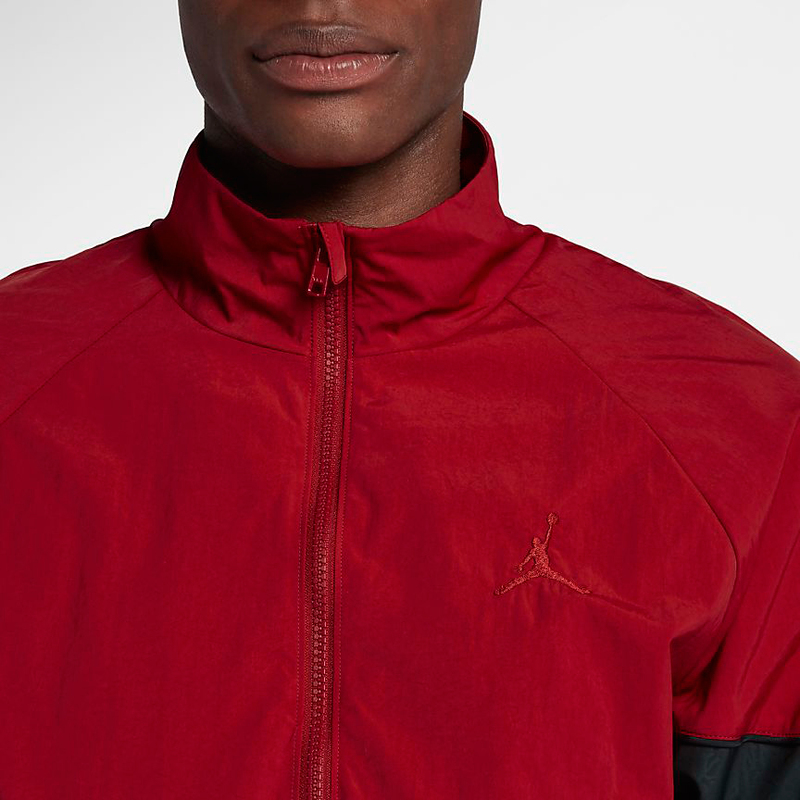 Included in the release roundup below are new apparel styles from Jordan Brand like t-shirts, shorts and other gear, as well as caps from brands like Mitchell & Ness and Pro Standard, plus sneaker tees from streetwear brands like Retro Kings, Original RUFNEK and BAWS. 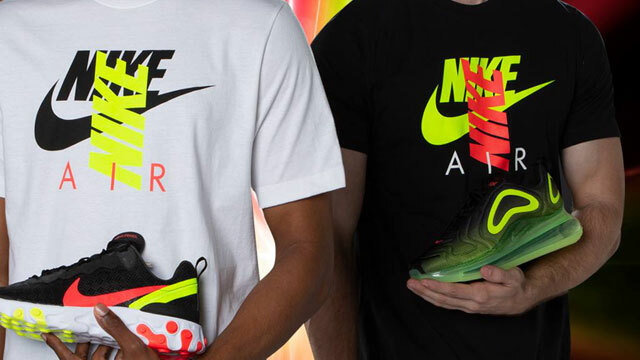 You can check out all of the matching gear below. 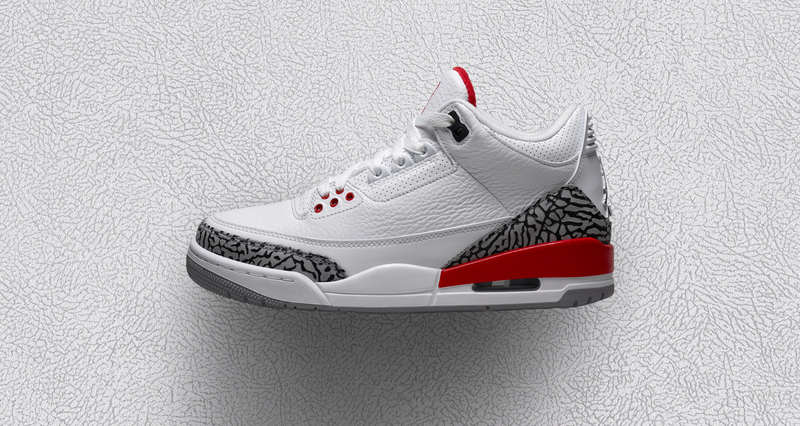 Scroll down to scope out some of the best stuff to match the shoes with more being added to the list as new gear continues to drop, so keep checking back right here for all of the best Air Jordan 3 “Katrina” hook-ups. 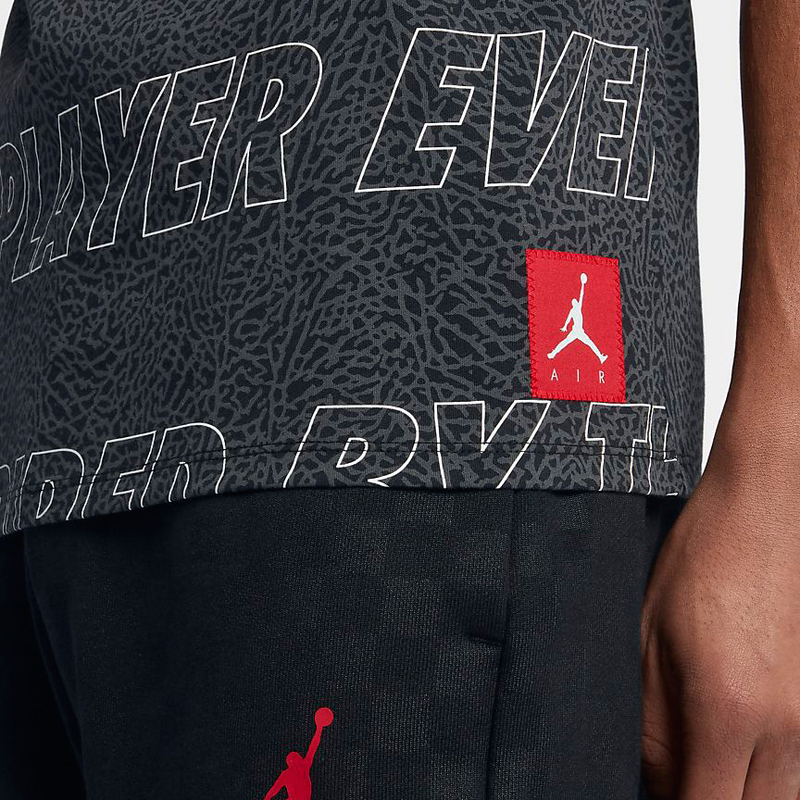 For even more matching gear, check out our roundups of clothing and caps to match the Air Jordan 3 “Black Cement, Air Jordan 3 “Tinker” and Air Jordan 3 “Free Throw Line”. 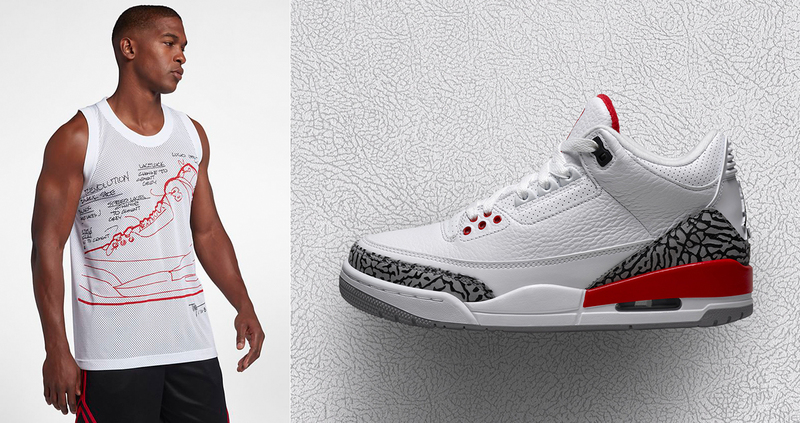 Fresh off the recent release of the Air Jordan 3 “Katrina” comes this similar color scheme in Jordan Brand’s new go-to training shoe – the Jordan Zoom Tenacity 88. 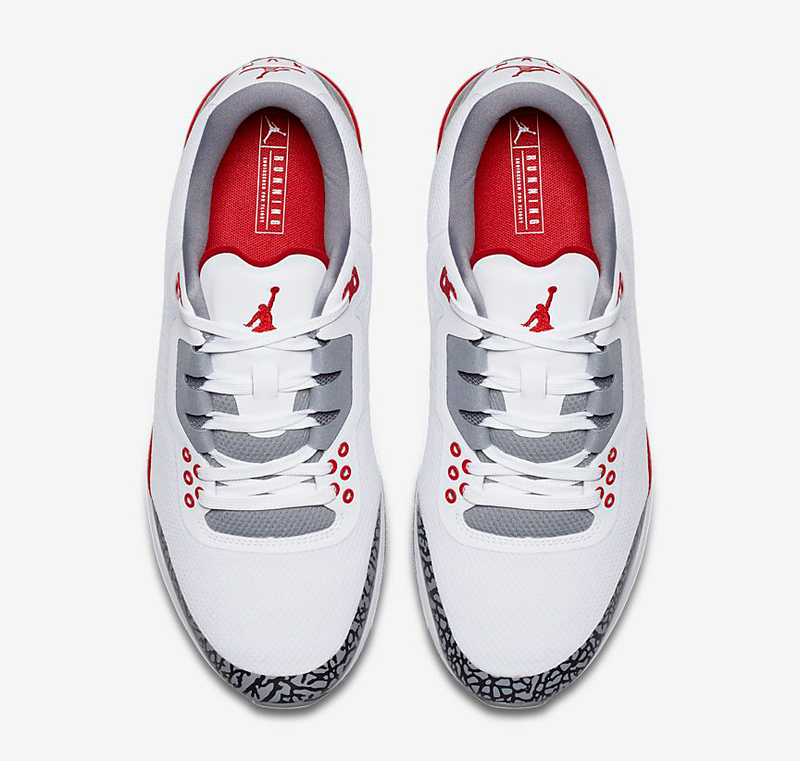 Done up in an iconic White, Cement Grey and Fire Red colorway, these classic colored Jordan Zoom Tenacity 88 running shoes fuse old school style and new school comfort, with Zoom air cushioning and “RUN” replacing the “AIR” branding on the back to remind you just what these Js are made for. 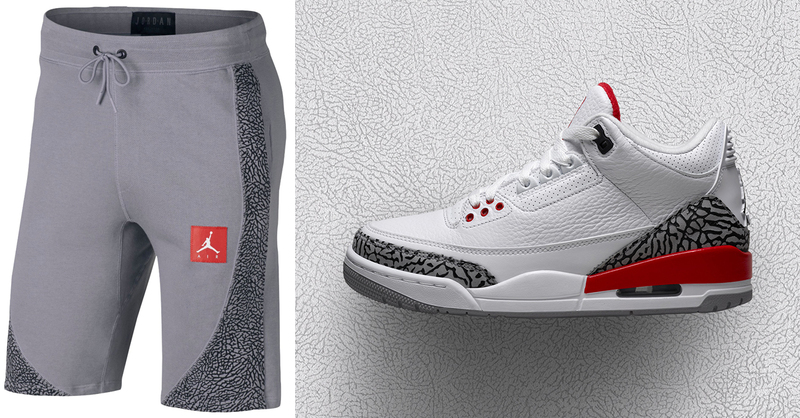 To complete the look, you can lace up the sneakers with some of the Air Jordan 3 “Katrina” clothing and gear to hook. 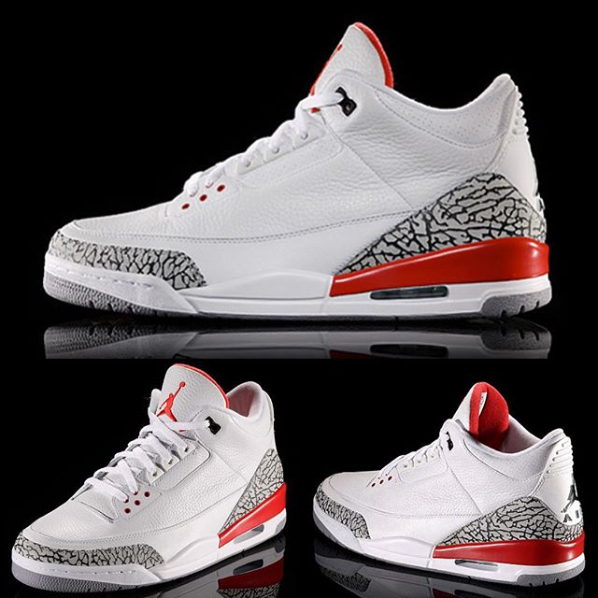 Cop a pair of the Jordan Zoom Tenacity 88 “Fire Red” kicks at Nike.com. 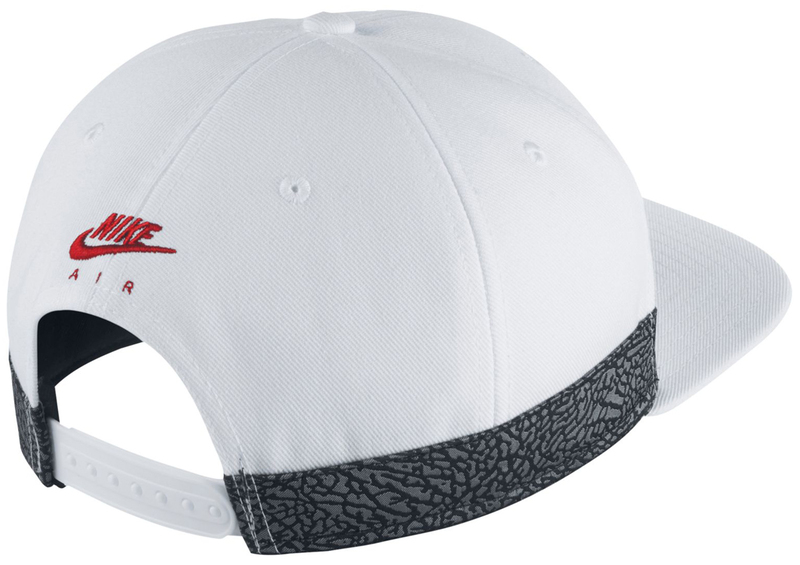 If you’re on the hunt for a hat to match the Air Jordan 3 “Katrina / Hall of Fame” kicks, it doesn’t get more of a direct sneaker hook-up than this Jordan Retro 3 Jumpman Pro Snapback Cap. 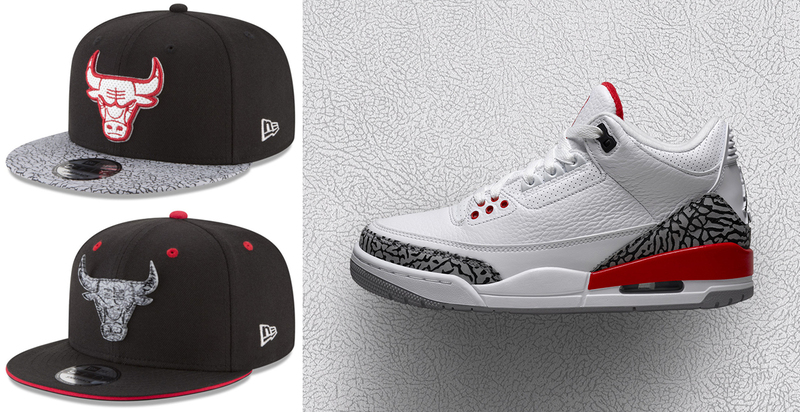 Inspired by the AJ 3 shoes with colors and elephant print to match, this Jordan Retro 3 Snapback Cap features a Jumpman logo on the front and Nike Air branding on the back for an OG look to hook with the Katrina 3 colorway. 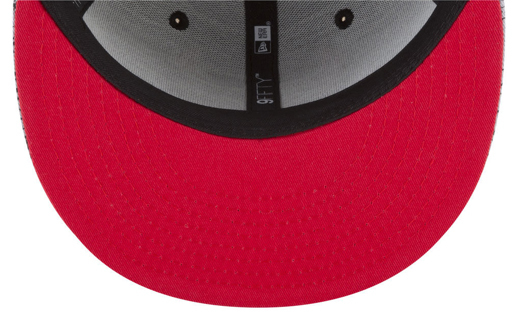 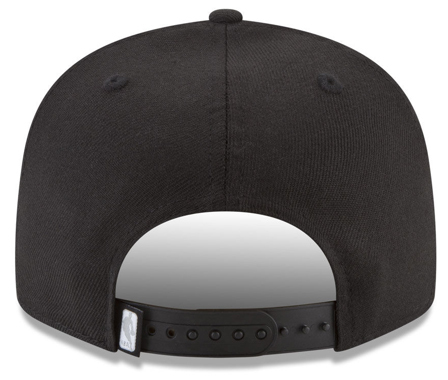 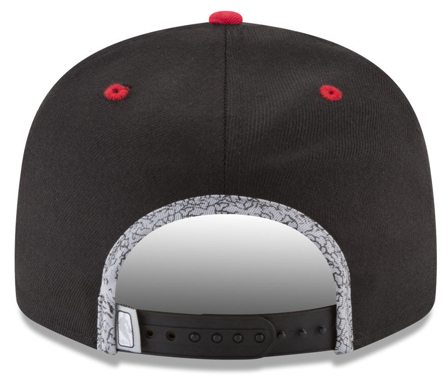 Along with a high crown, flat brim and snapback closure for an all-around classic look, the cap also features Nike Dry fabric to wick away sweat during the summer heat when lacing up the Js on your feet. 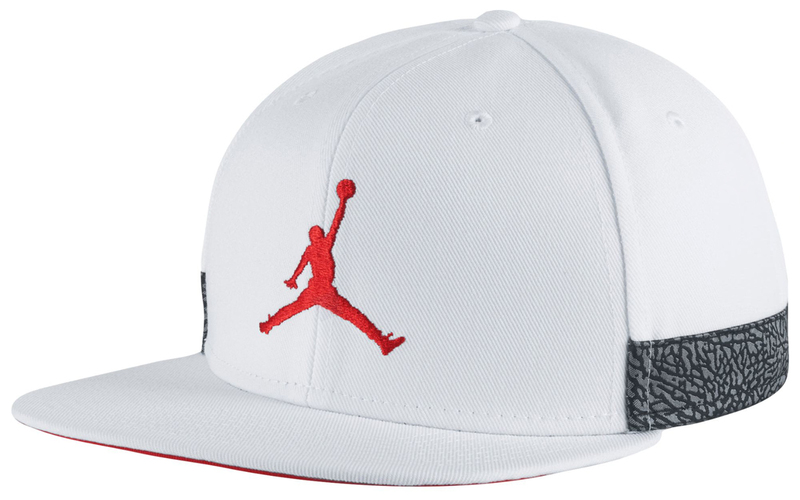 The Jordan Retro 3 Jumpman Pro Snapback Cap is available to buy here. 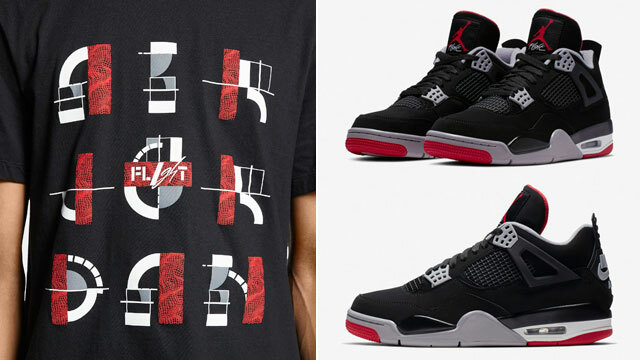 Original RUFNEK has a new collection of clothing available to match the Air Jordan 3 “Katrina / Hall of Fame” kicks including these sneaker tees and matching socks to complete the look. 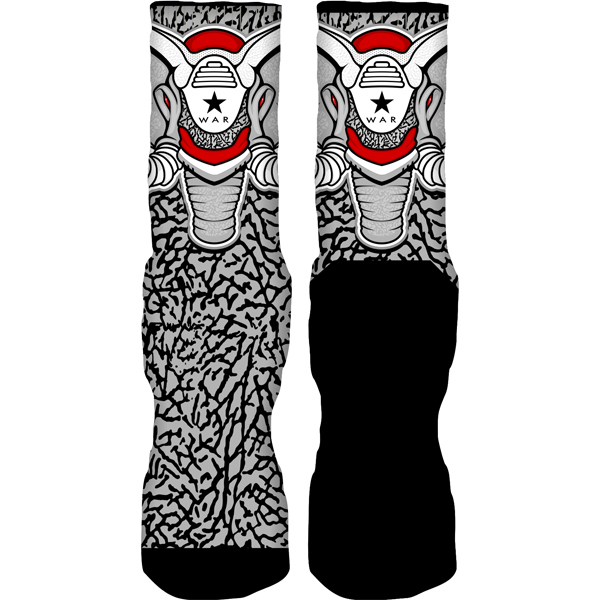 Inspired by the shoes with elephant print included for a classic look to hook, featured below are two standout styles from RUFNEK’s Katrina 3 sneaker match collection including the “War Elephant” T-Shirt and socks, as well as the popular “War Face” T-Shirt which also has matching socks to hook. 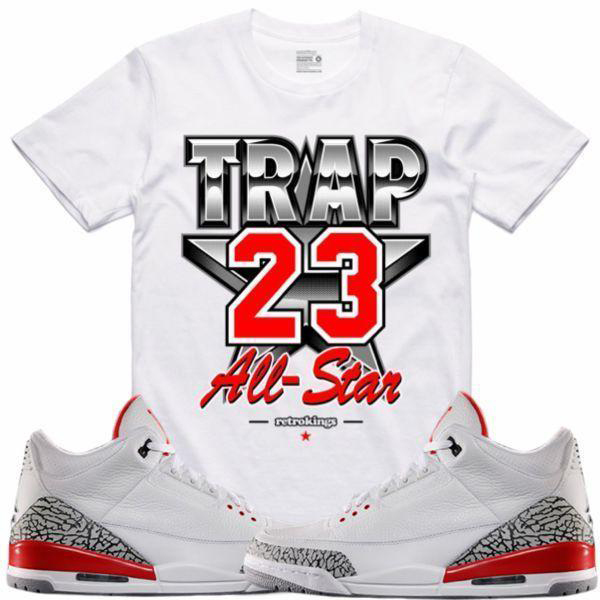 You can shop both the tees and socks below, with even more sneaker tees to match the Katrina 3s from a few different brands shown here. 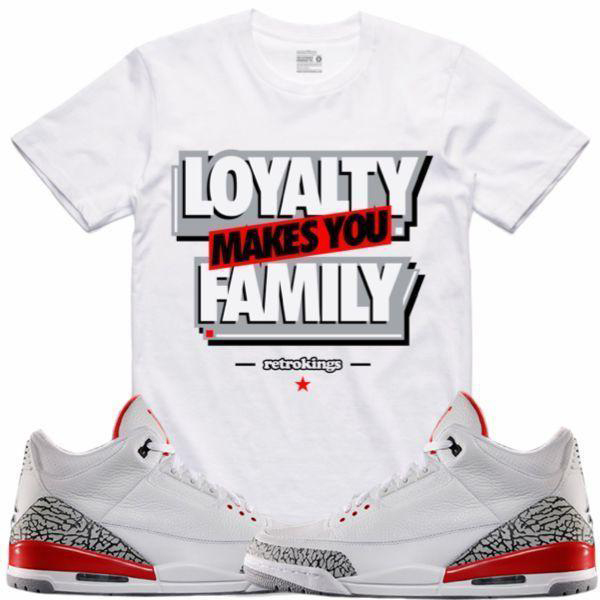 Click here to shop sneaker tees and socks to match the Air Jordan 3 “Katrina”. 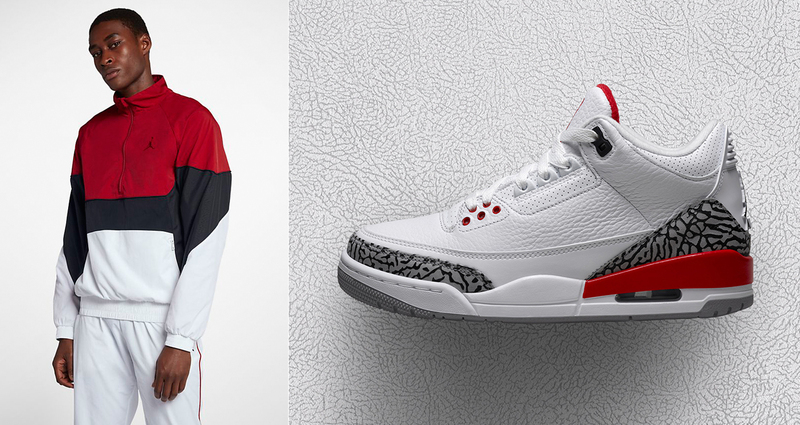 Along with the Air Jordan 3 “Katrina / Hall of Fame” release comes this Jordan Retro 3 Jacket and Pants set to match up with the kicks. 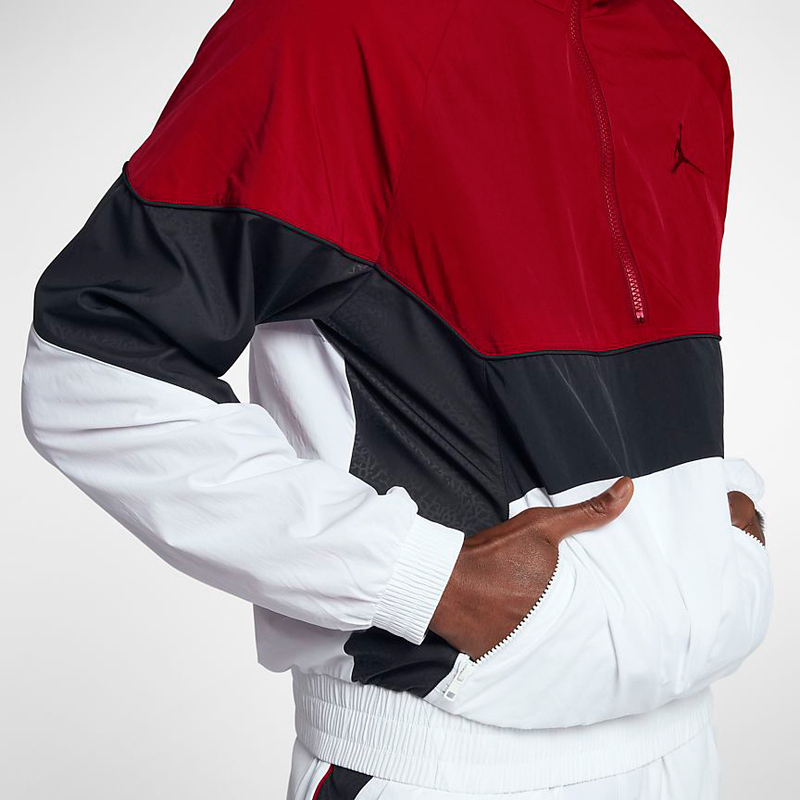 Inspired by the shoes with colors to hook, plus subtle elephant print in select spots for iconic Air Jordan signature style, both the AJ 3 jacket and pants feature a tapered fit with a jersey lining for a soft feel against the skin and lightweight nylon outer shell for sporty coverage when lacing up the sneakers. 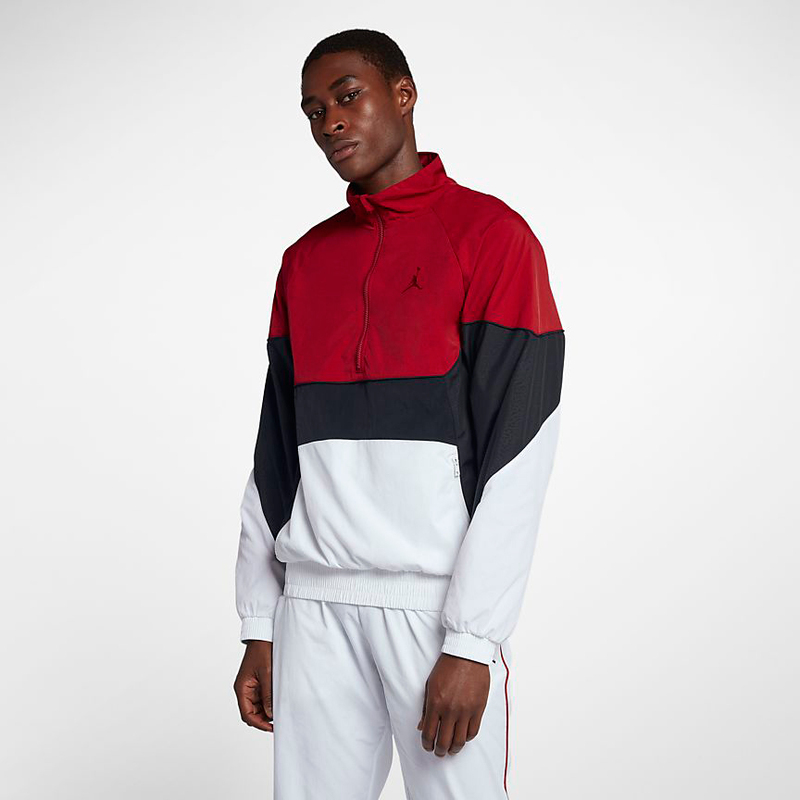 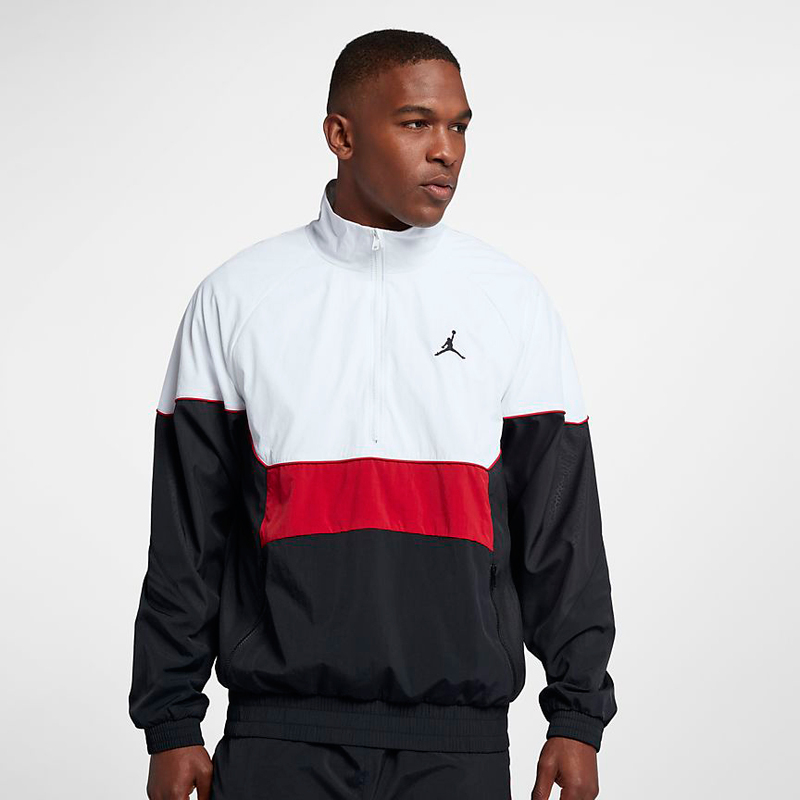 The Jordan Retro 3 Jacket is available at Champs Sports and Nike.com with the pants available here. 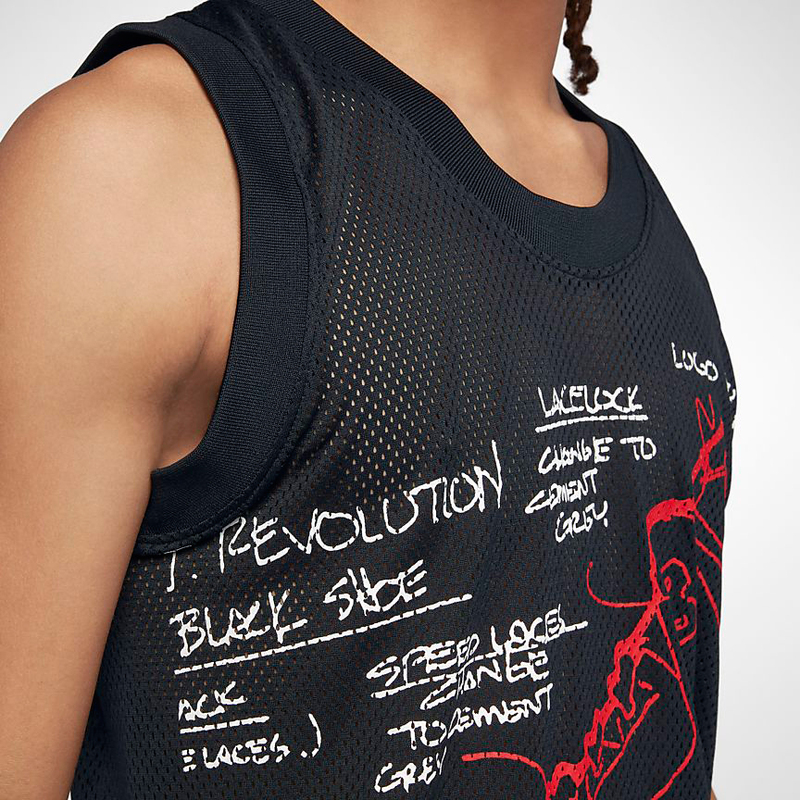 Available right in time for summer and the Air Jordan 3 “Katrina / Hall of Fame” release is the Jordan Retro 3 Mesh Jersey that takes it back to Tinker Hatfield’s original AJ 3 sneaker sketch. 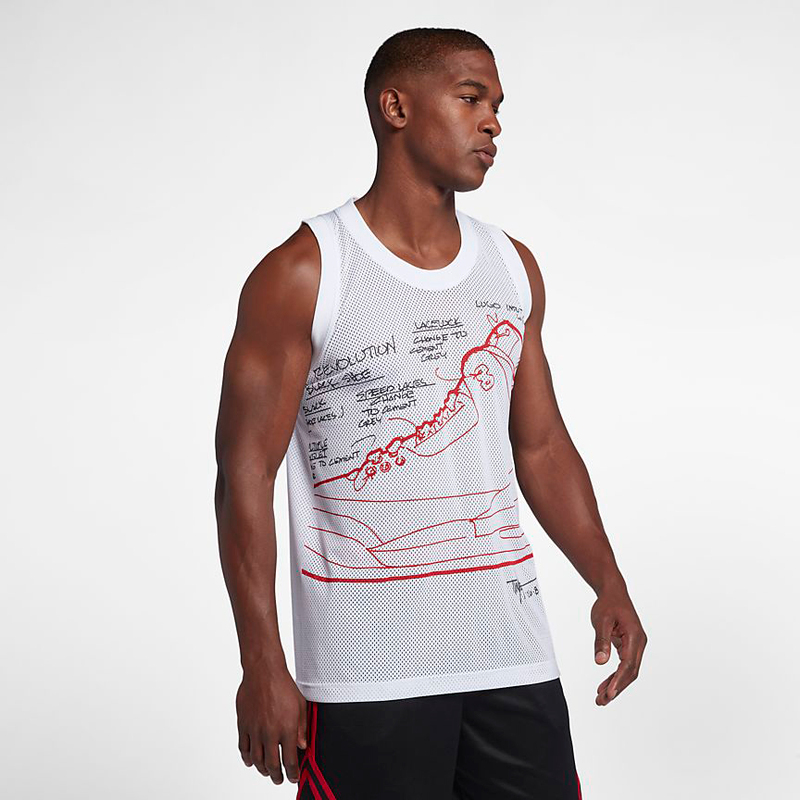 Available in black and white with Tinker’s original sketch reproduced and enlarged on the front (similar to these tees), the Jordan Retro 3 Mesh Sketch Jersey captures a key moment in sneaker design, right down to the specific details of the Air Jordan 3, plus Hatfield’s signature and the date that he drew it up included. 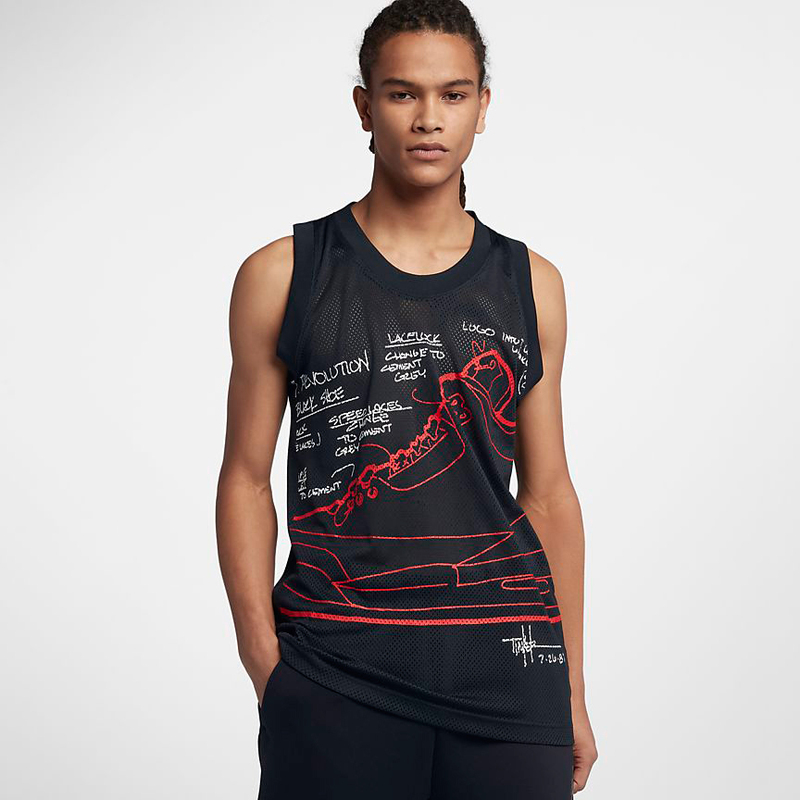 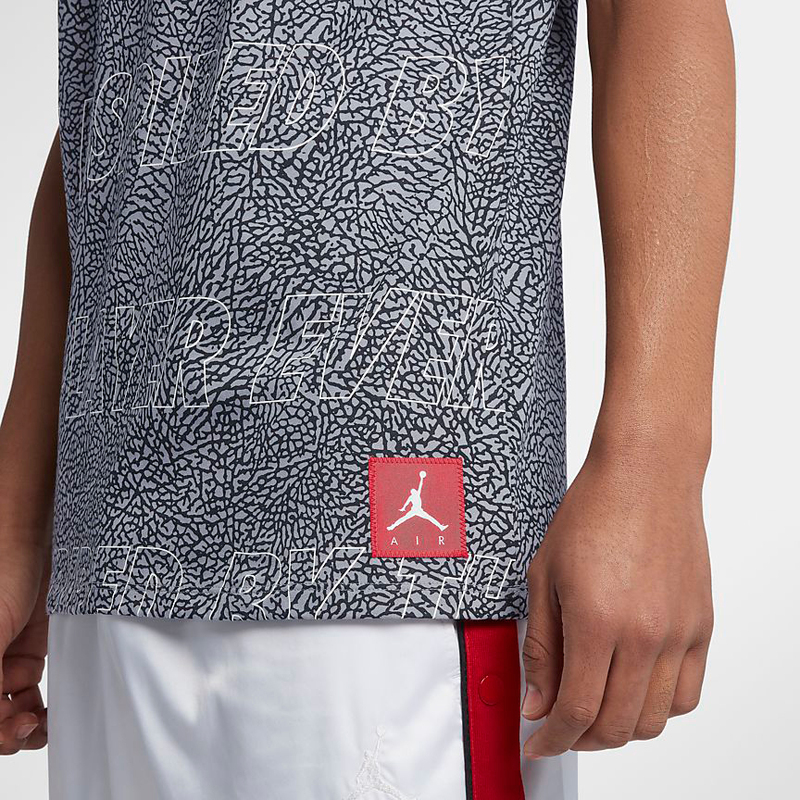 The Jordan Retro 3 Mesh Sketch Jersey is available at Footlocker and Nike.com. 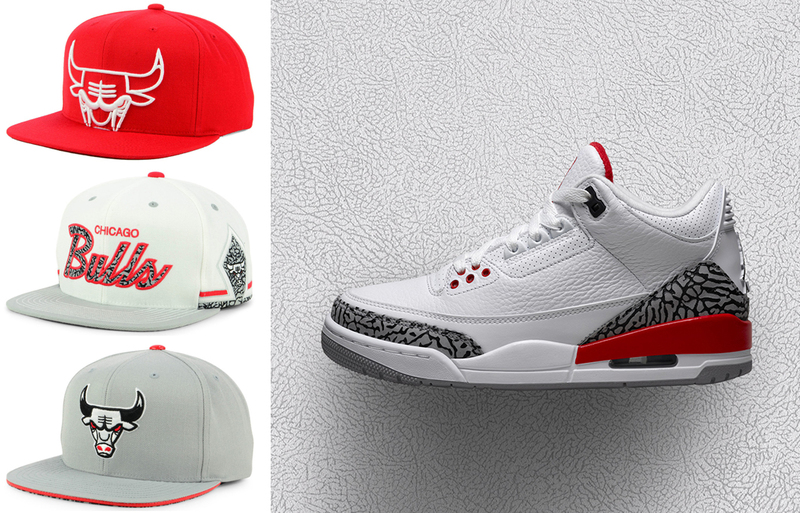 Cap off the Air Jordan 3 “Katrina” kicks in a hat to hook with these Chicago Bulls New Era Cement 3 Sneaker Hook Snapback Caps that match well with the shoes. Available in two different styles which both pair up perfectly with the kicks, these sneaker-inspired snapbacks feature elephant print accents and colors to match the shoes, with the first hat mixing a crackled flat brim in cement grey with a perforated white leather Bulls logo to match the sneaker’s upper, and the other cap decked out in a darker design with elephant print filling out the Bulls branding, inside liner and back. 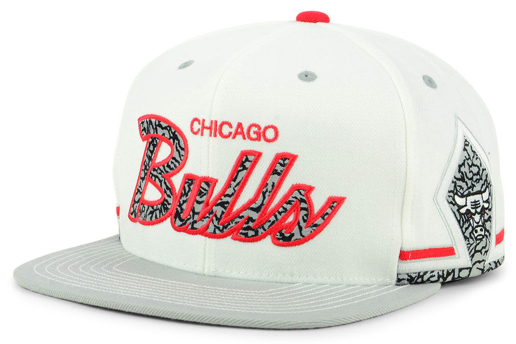 The Chicago Bulls New Era Cement 3 Sneaker Hook Snapback Caps are available to buy here. 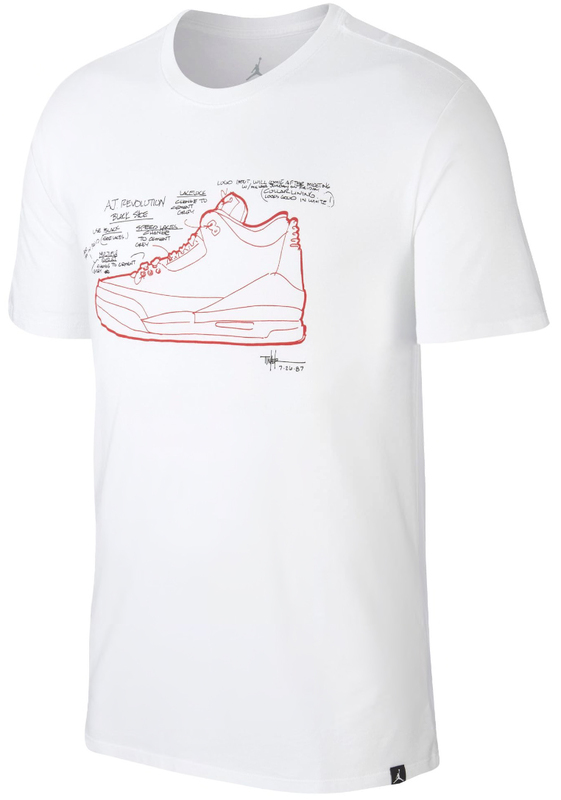 Take it back to Tinker Hatfield’s original AJ 3 artwork with the Jordan Retro 3 Sketch T-Shirt to match the Air Jordan 3 “Katrina / Hall of Fame” sneakers. 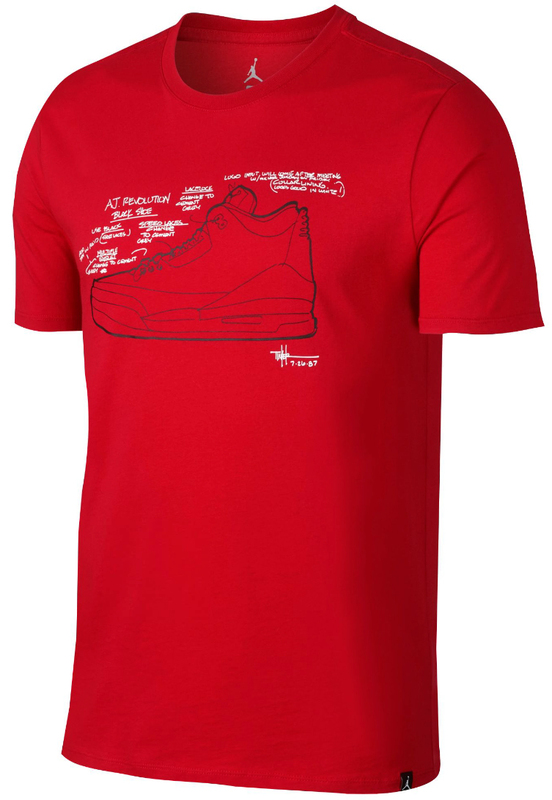 Available in three different colors to match the kicks including black, white and red, these Jordan 3 Sketch tees feature Tinker’s preliminary illustration reproduced on the front along with some of the design details written down, plus Hatfield’s signature alongside the date that it all went down to capture a key moment in sneaker design history. 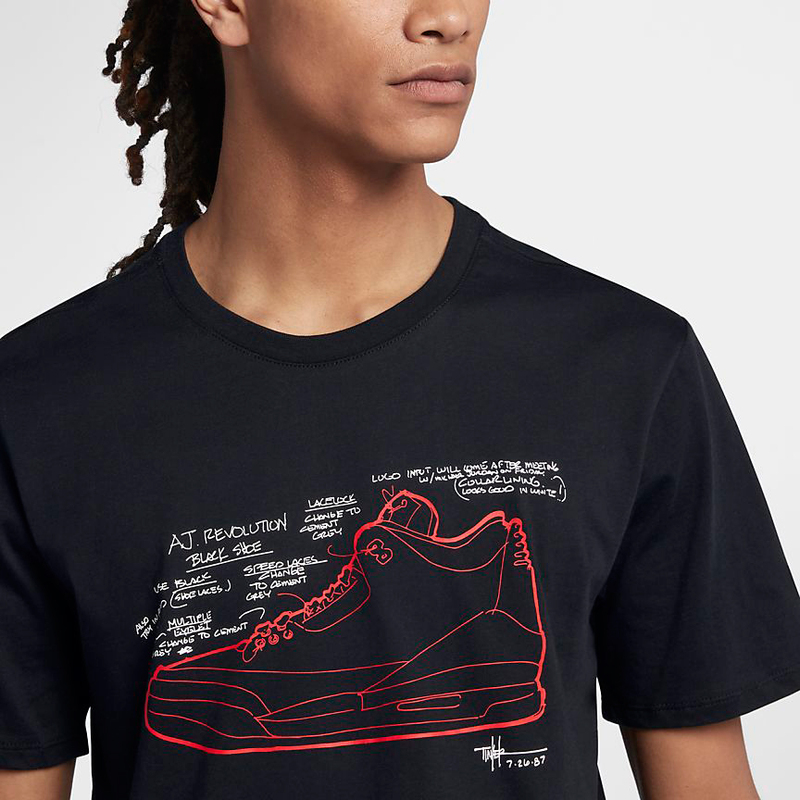 You can cop the Jordan Retro 3 Sketch T-Shirt in all three colors below. 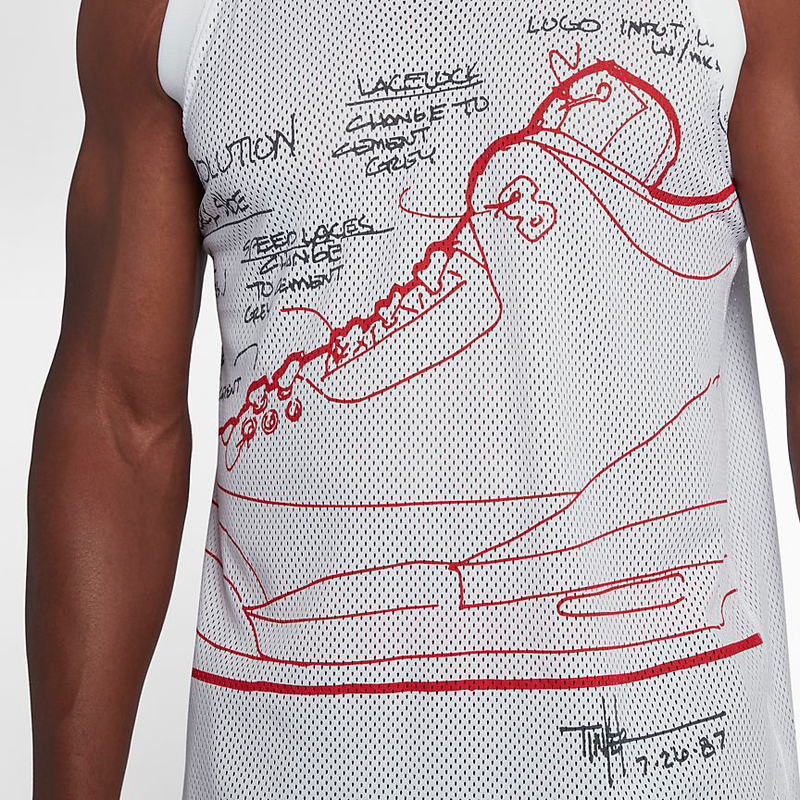 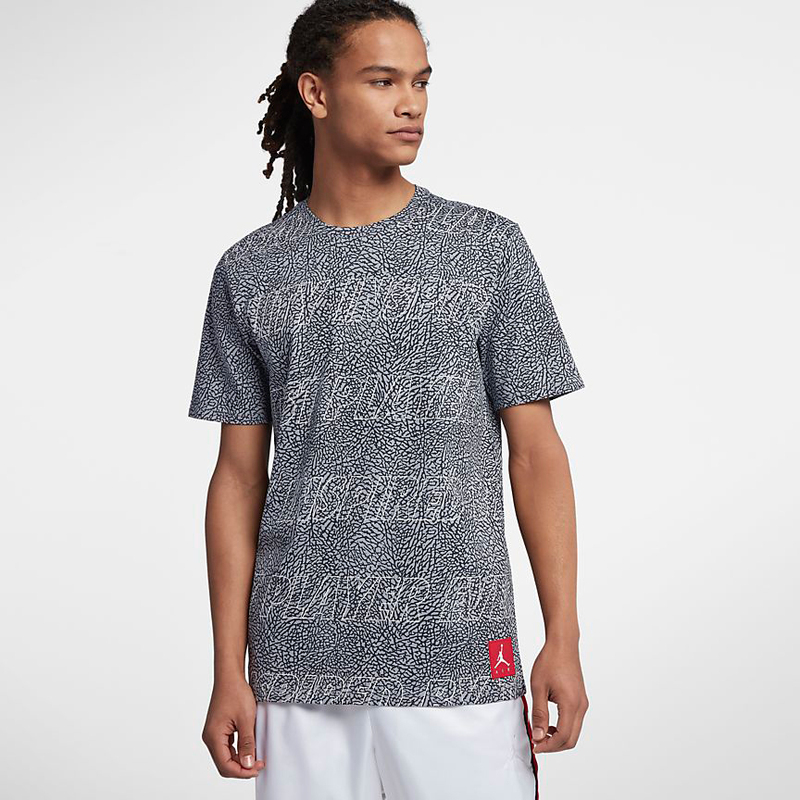 The Jordan Retro 3 Sketch T-Shirt is available at Champs Sports, Footlocker and Nike.com. 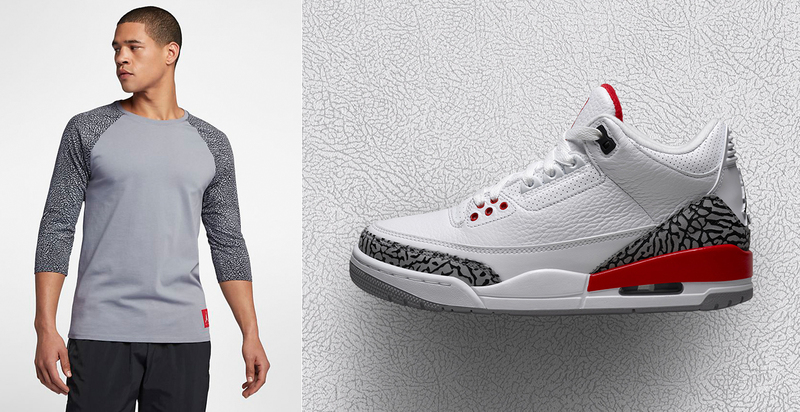 Combining a classic 3/4 sleeve cut with iconic elephant print, the Jordan Retro 3 Raglan Top has arrived right in time to match the Air Jordan 3 “Katrina / Hall of Fame” sneakers. 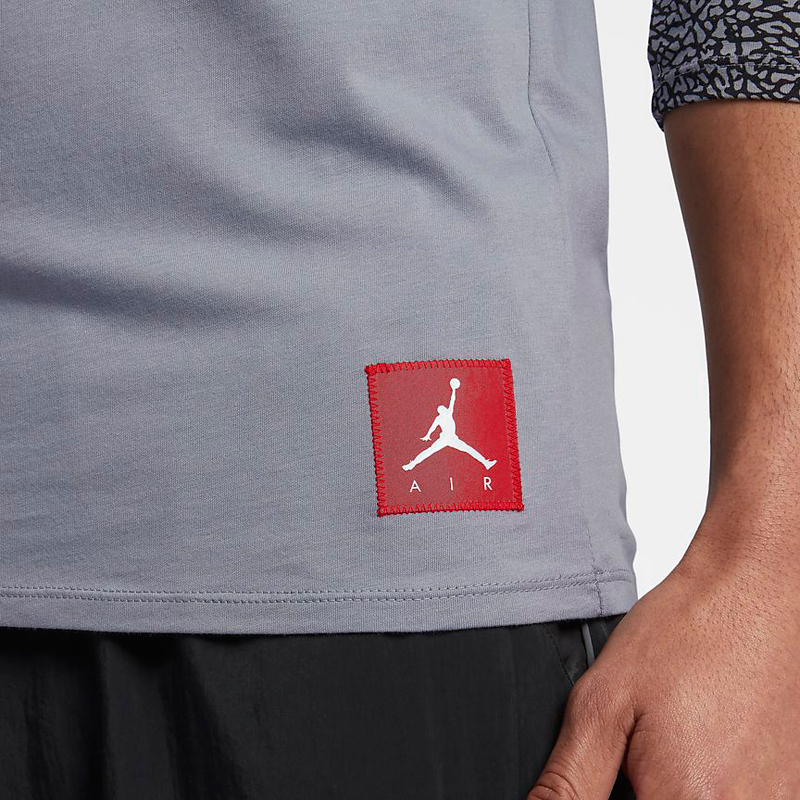 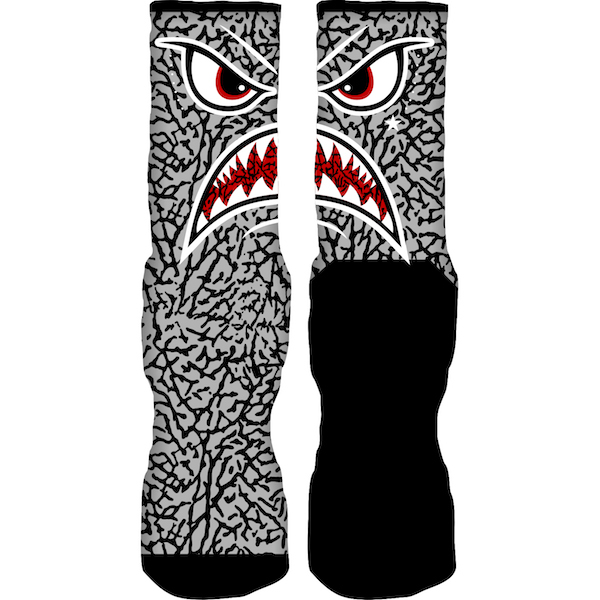 Featuring a Stealth grey color scheme with cement grey elephant print sleeves in retro 3/4 length fashion, this new AJ 3 top from the Jordan Retro 3 clothing collection is good to hook with the “Katrina” kicks, as well as these Jordan Retro 3 Wings Lite Shorts which also feature the same crackled graphics and grey colors. 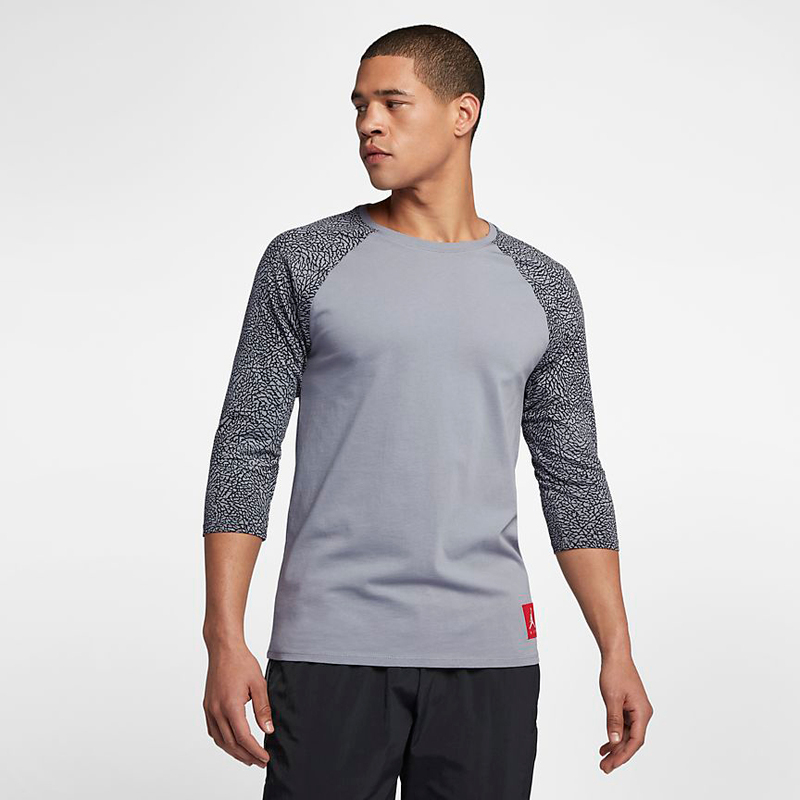 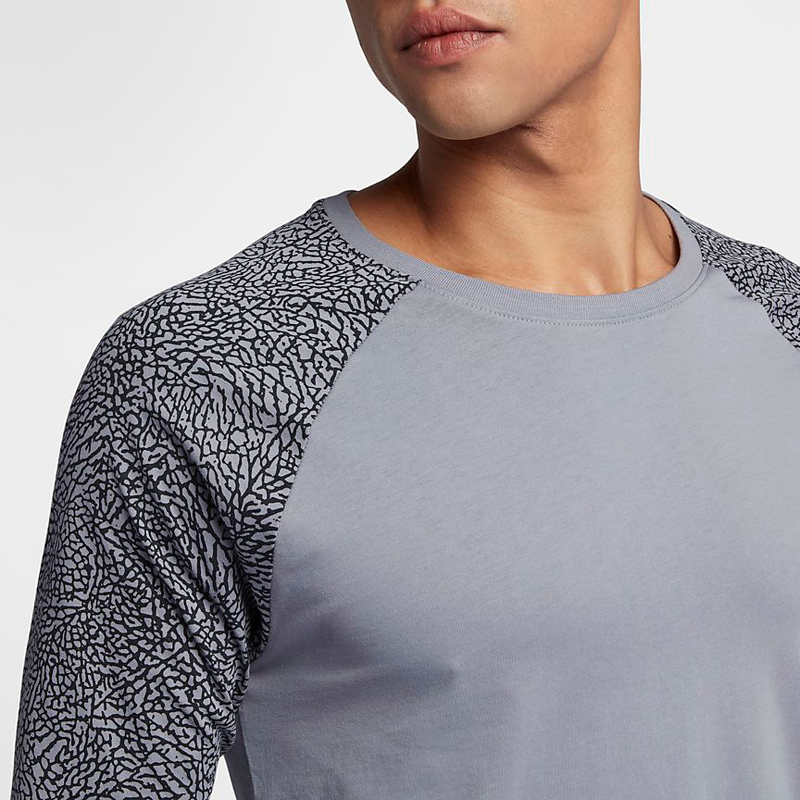 The Jordan Retro 3 Raglan 3/4 Sleeve Top is available at Footlocker and Nike.com. 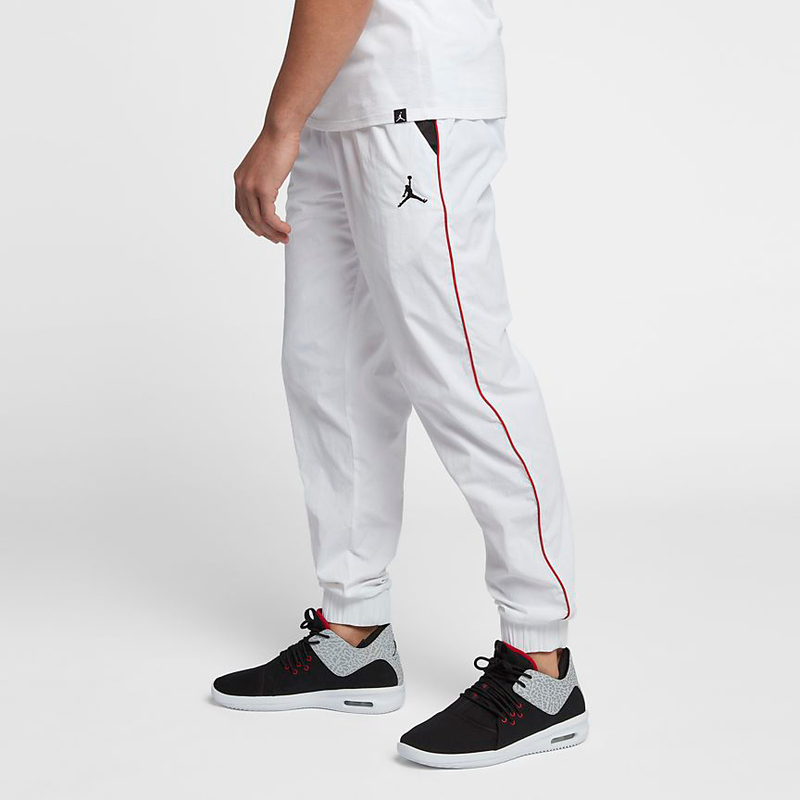 Sliding through for summer, right in time for the Air Jordan 3 “Katrina / Hall of Fame” release, are these Jordan Retro 3 Wings Lite Shorts to match the new AJ 3 Retro colorway. 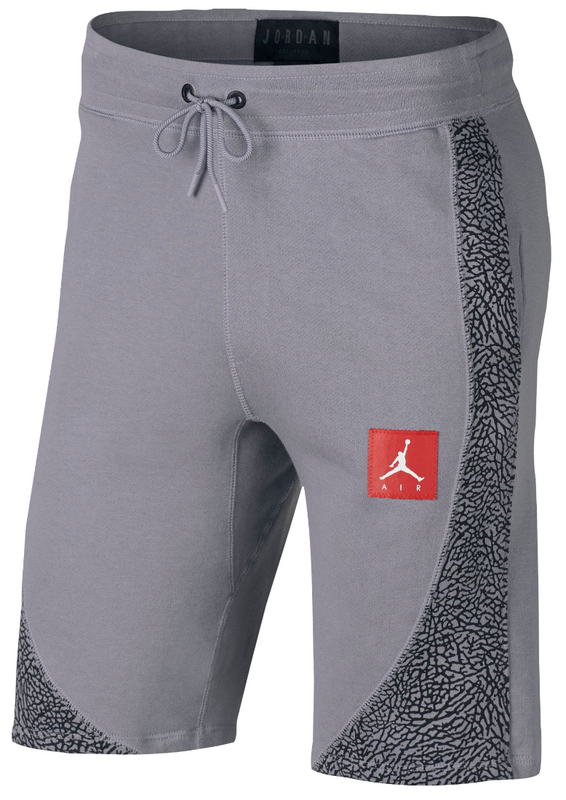 Available in black and cement grey with elephant print graphics and raw hems for a worn-in, retro look to hook with the shoes, these Jordan Retro 3 Shorts are made with lightweight French terry fleece fabric that’s soft, smooth and comfortable, to complement the kicks. 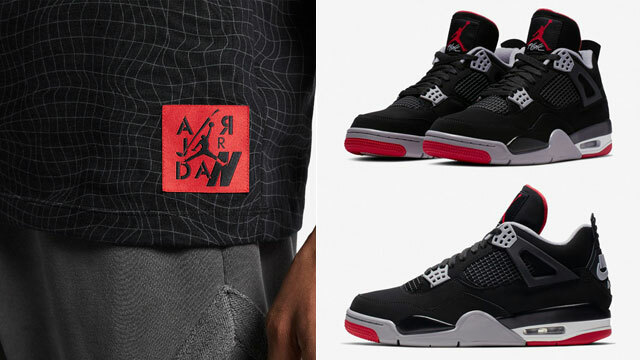 Completing the look is a Jumpman Air logo patch on the left leg to match the red accents on the sneakers. 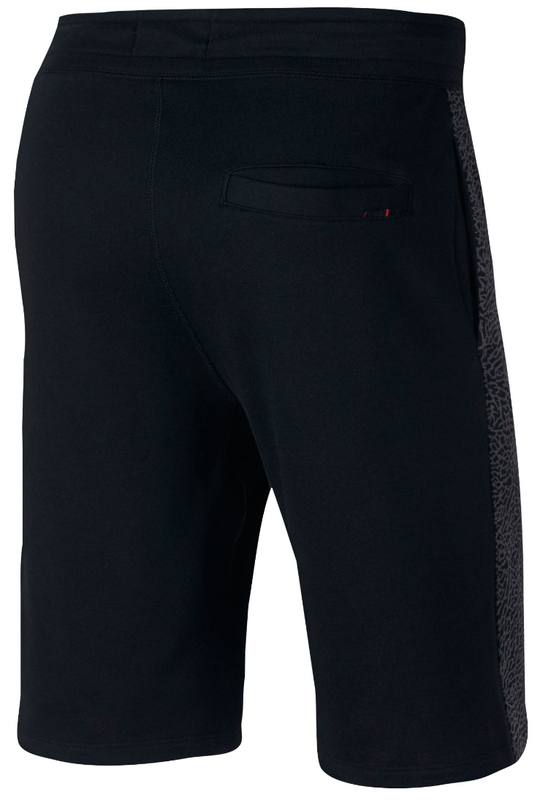 Check out the shorts in black and grey below. 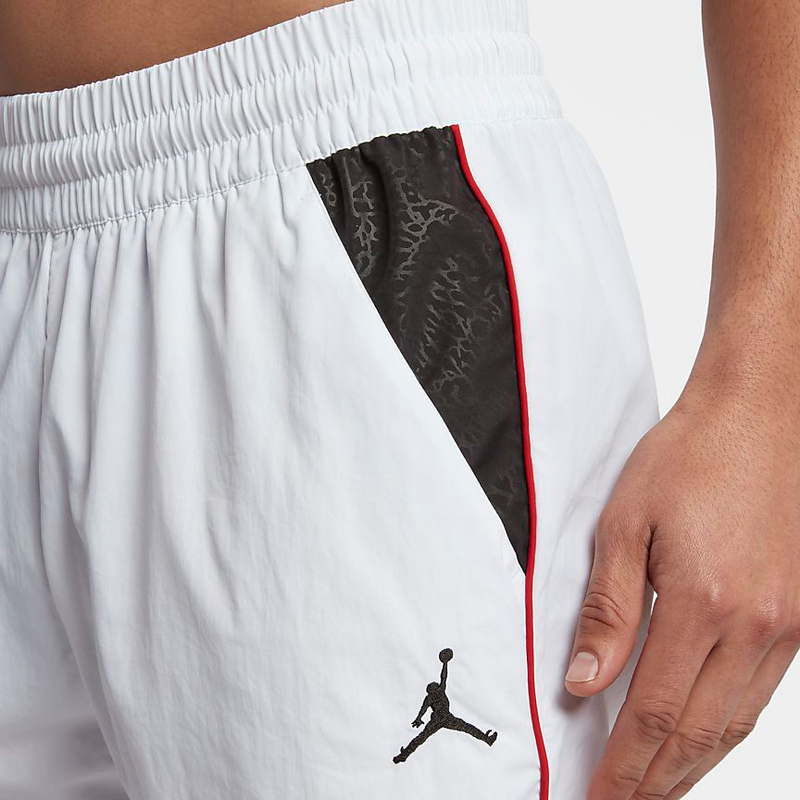 The Jordan Retro 3 Wings Lite Shorts are available to buy here. 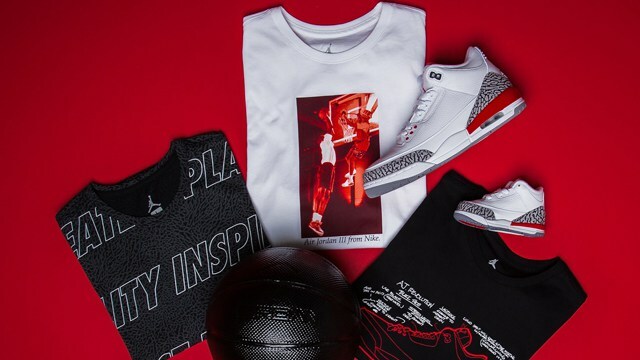 Allover Elephant Print and AJ 3 signature style are combined on these new Jordan Retro 3 T-Shirts that have arrived in time to match the Air Jordan 3 “Katrina / Hall of Fame” sneakers. 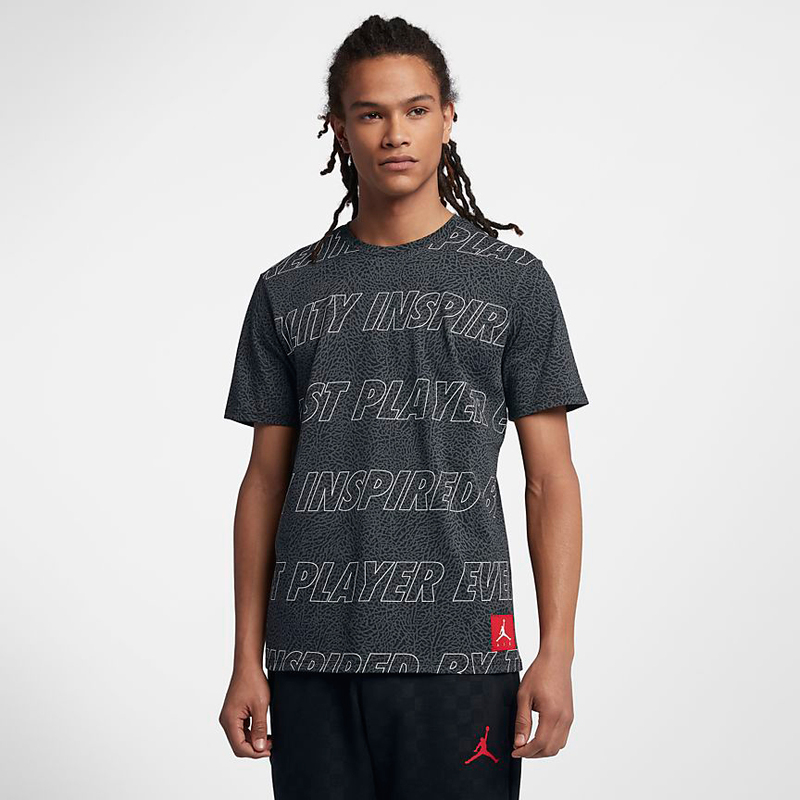 Available in three core colors to match the kicks including cement grey, black and white, these Elephant Print tees from the Jordan Retro 3 clothing collection feature the words “Quality Inspired by the Greatest Player Ever.” on the front, along with a Jumpman Air patch in red to match the accents on the shoes. 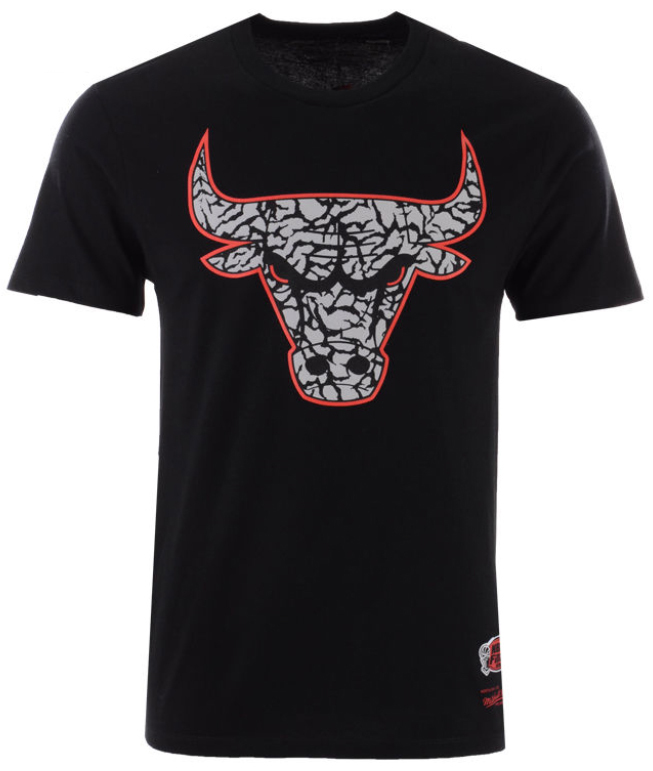 The Jordan Retro 3 Elephant Print T-Shirt is available at Champs Sports, Footlocker and Nike.com. 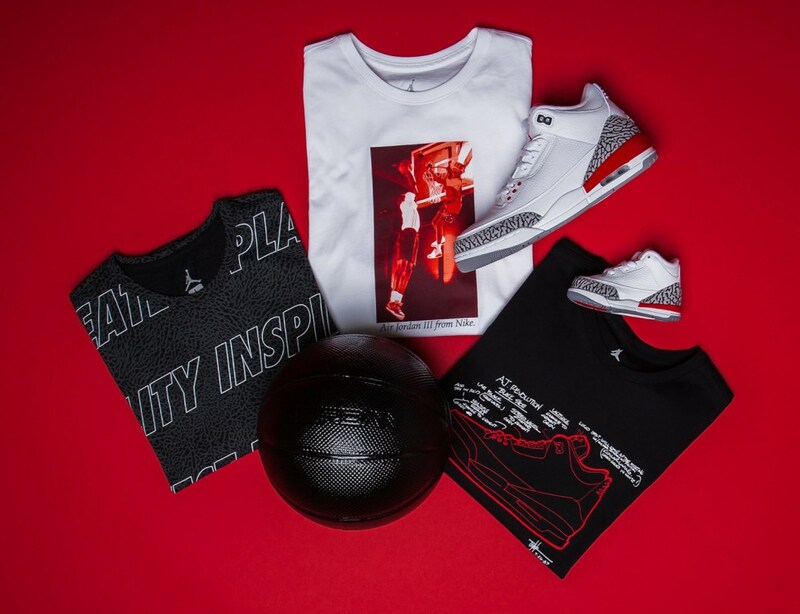 With the Air Jordan 3 “Katrina / Hall of Fame” shoes set to release on May 12th, several new sneaker tees from a few different streetwear brands have arrived, just in time to match the kicks. 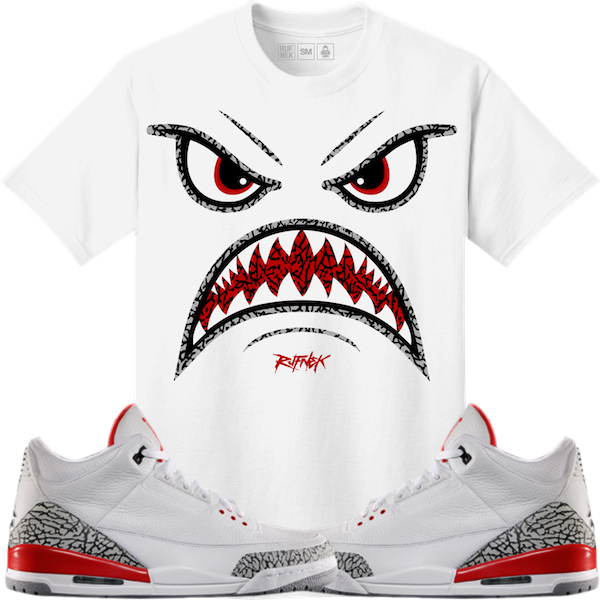 Colored up to match the white, red and cement grey AJ 3 Retro kicks are new tees from brands like Retro Kings, BAWS, Original RUFNEK and Planet Grapes, with each shirt mixing in colors to match the shoes, plus elephant print on select styles to complement the kicks. 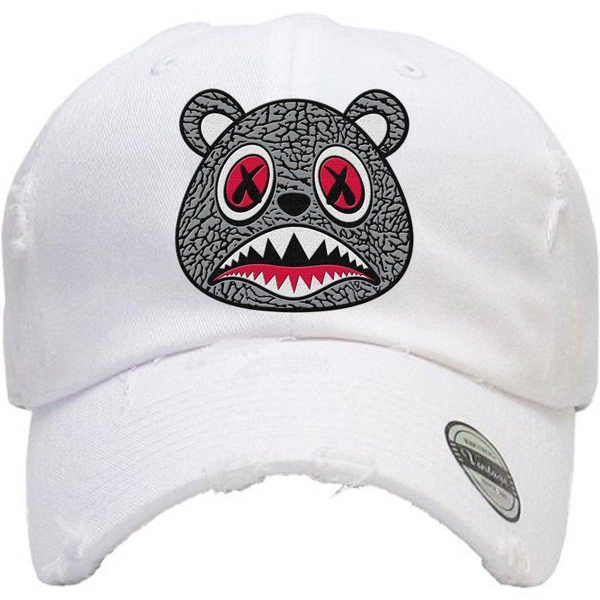 Check out some of the t-shirts and caps below. 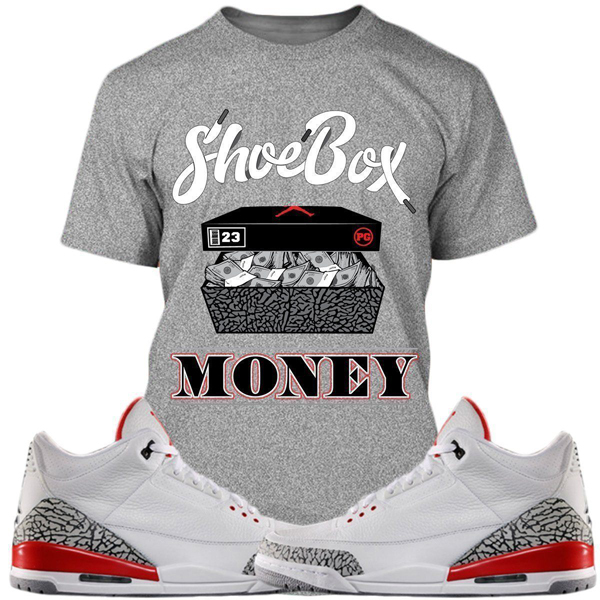 Click here to shop sneaker tees to match the Air Jordan 3 “Katrina / Hall of Fame”. 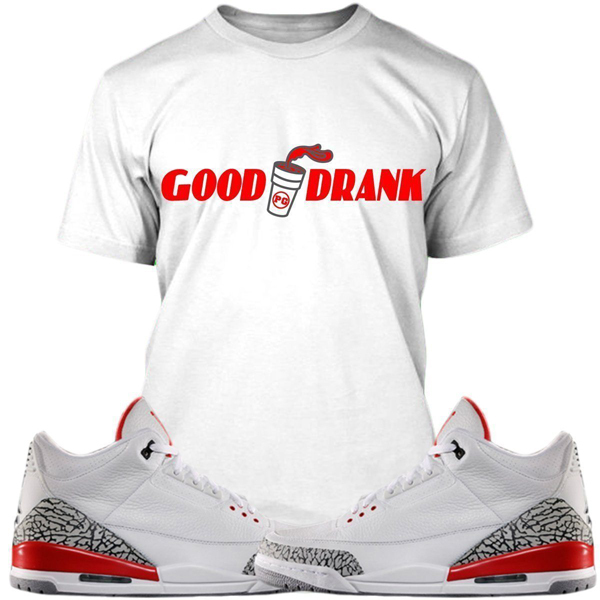 Click here for more sneaker tees and hats to match the Air Jordan 3 “Katrina”. 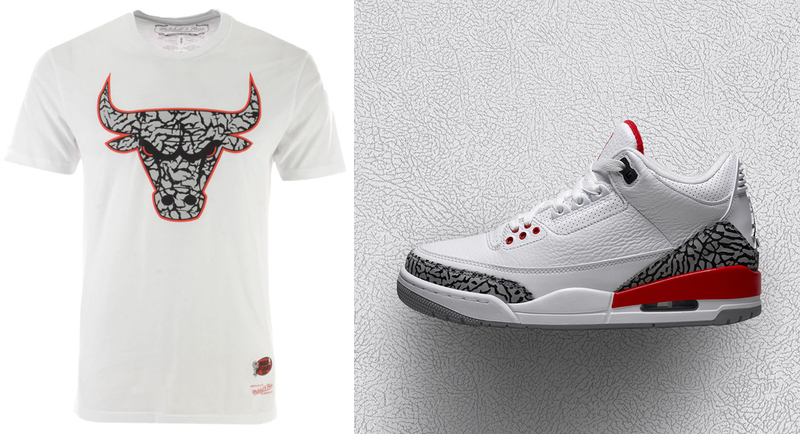 Good to hook with the Air Jordan 3 “Katrina / Hall of Fame” kicks are these Chicago Bulls Mitchell & Ness Bulls Cement 3 T-Shirts in colors and style to match the sneakers. 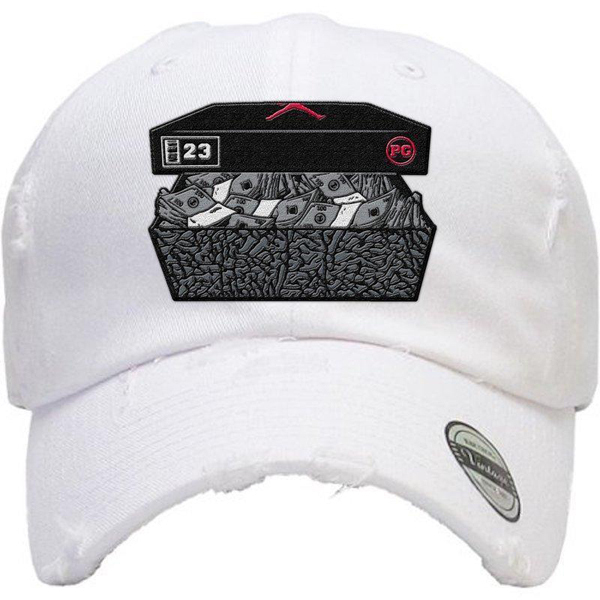 Available in white or black with a Bulls logo on the front filled with iconic Elephant Print to match the crackled panels on the shoes, these Cement 3 sneaker tees are as close a match as it’s gonna get, perfect for pairing up with the kicks, as well as these Mitchell & Ness Bulls Katrina 3 Hook Hats. 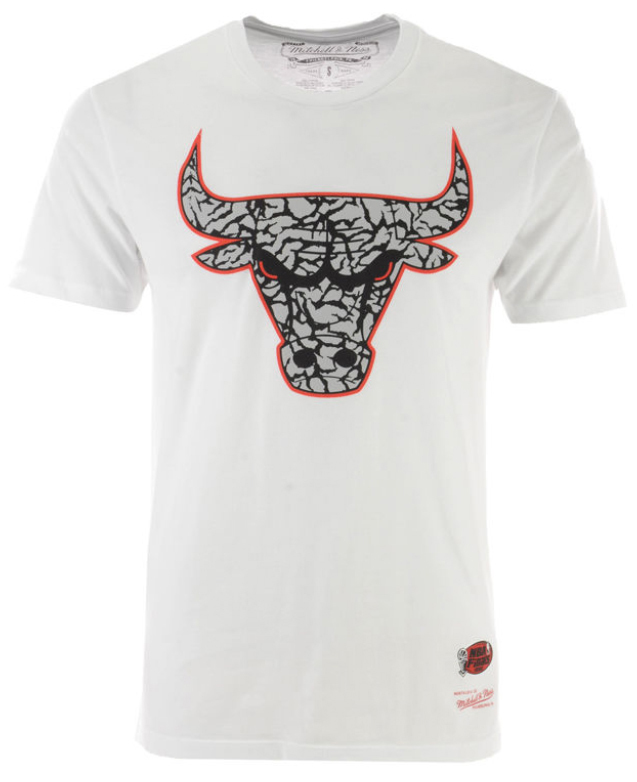 The Chicago Bulls Mitchell & Ness Bulls Cement 3 T-Shirt is available to buy here. 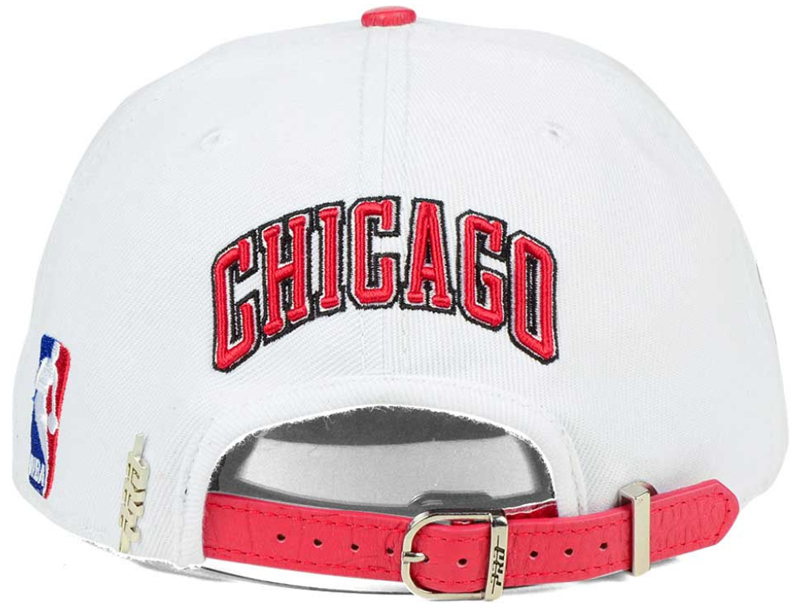 If you’re copping the Air Jordan 3 “Katrina / Hall of Fame” kicks and need a cap to match, Mitchell & Ness has a few Chicago Bulls Katrina 3 Hook Hats available to sport with the sneakers. 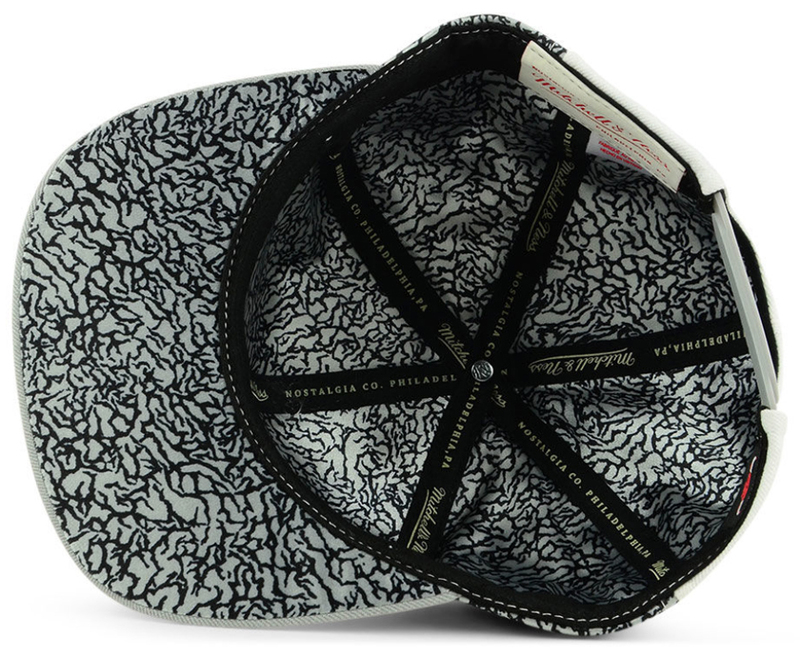 Inspired by the shoes with colors and design cues to match, included in the trio of caps are two snapbacks and one strapback hat to hook with the Katrina 3s, including the white cap which features a full elephant print lining to match the fill on the front and sides, the grey pop color cap which has elephant print under the bill for a subtle look to hook, as well as the red/white cap which keeps it clean in a signature Bulls color scheme. The Chicago Bulls Mitchell & Ness Katrina 3 Hook Hats are available to buy here. 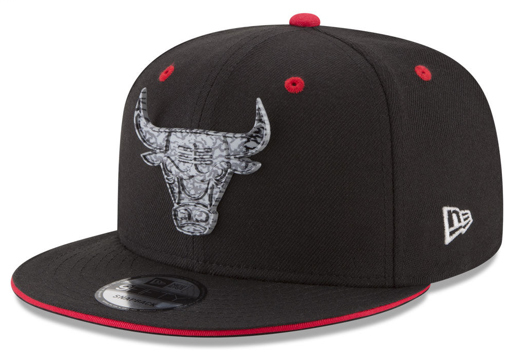 Popping up from Pro Standard is this Chicago Bulls Jordan Katrina Hook Strapback Cap that’s made to match wth the Air Jordan 3 “Katrina / Hall of Fame” sneakers. 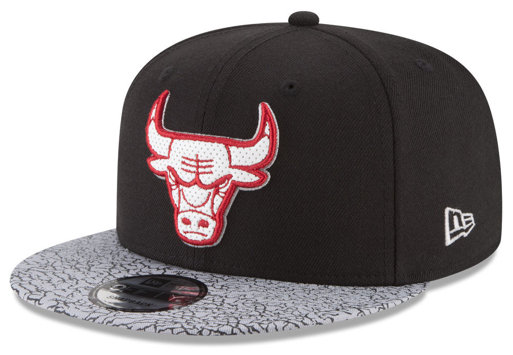 Inspired by the kicks with colors and graphics to hook, this Bulls strapback hat comes complete with elephant print on the bill to match the cement grey crackled panels on the shoes, with premium Bulls embroidery on the front and back, and a Six Time NBA Finals Champions graphic on the side. 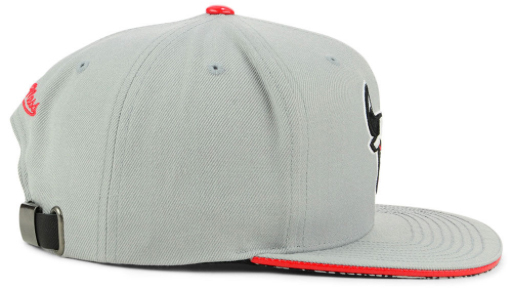 The Air Jordan 3 “Katrina / Hall of Fame” sneakers release on May 12th, but you can can cop this Pro Standard Bulls Cap right now. 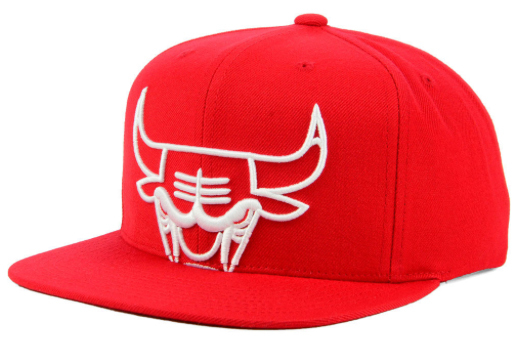 The Chicago Bulls Pro Standard Jordan Katrina Hook Cap is available to buy here. 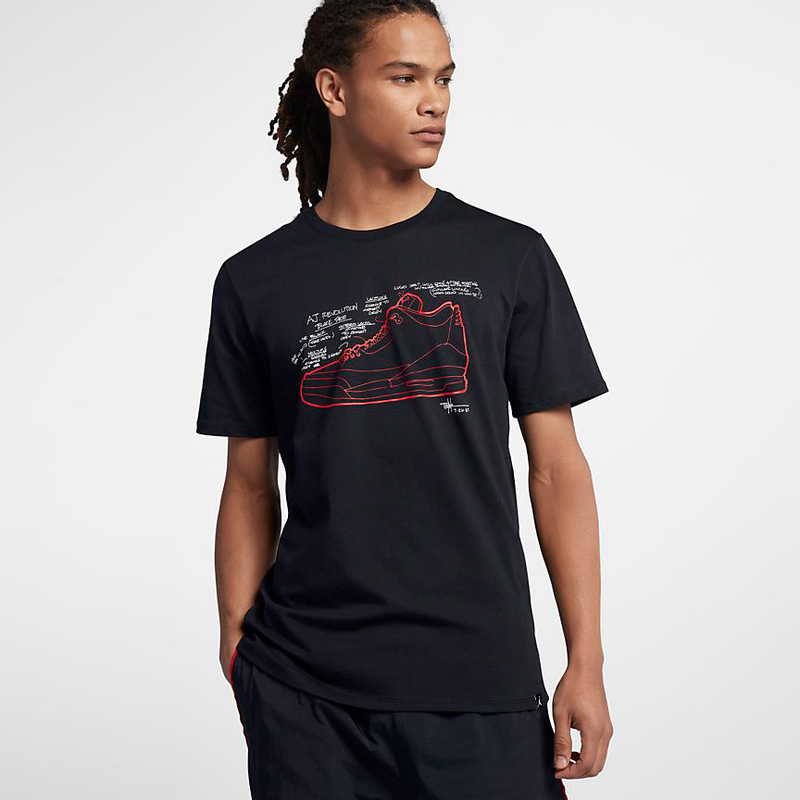 BAWS has brought out a new collection of sneaker clothing in time to match the Air Jordan 3 “Katrina” kicks including a tee, hat and hoodie to hook. 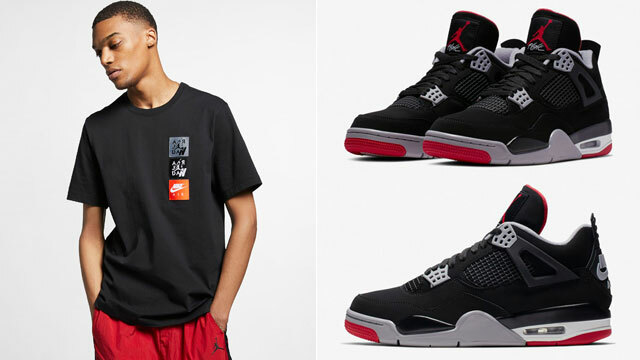 Inspired by the shoes with colors and graphics to match, the BAWS sneaker tee, dad hat and pullover hoodie each feature an elephant print fill to complement the crackled pattern on the kicks, with red accents to match the AJ 3s perfectly. 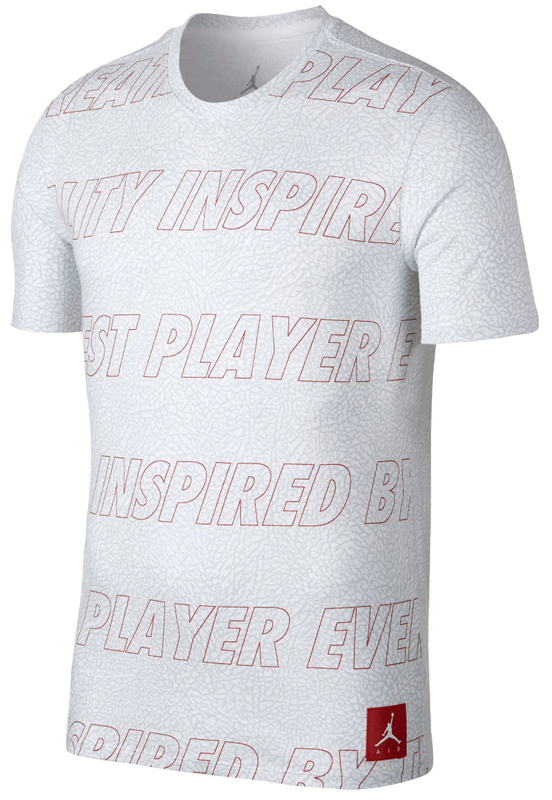 Check out the tee, hat and hoodie below. 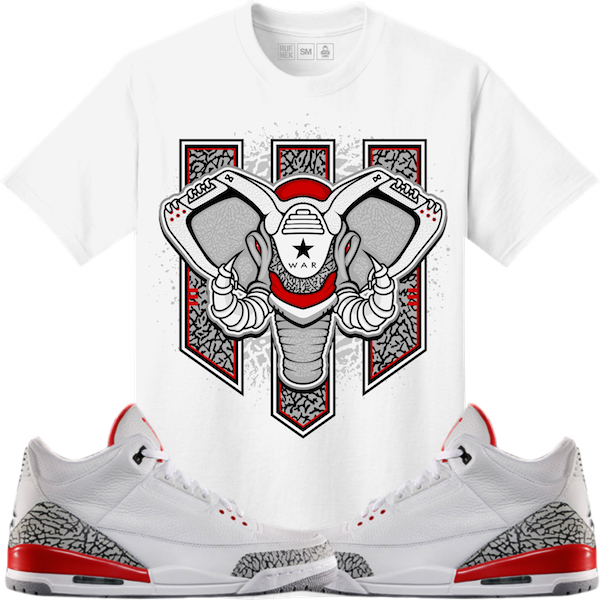 Click here to shop Elephant BAWS Sneaker Gear to match the Air Jordan 3 “Katrina”. 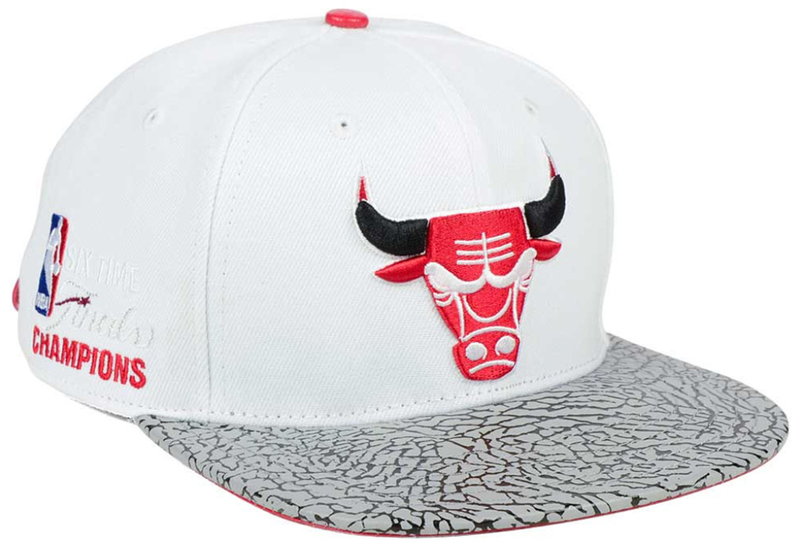 A third Bulls hat from Mitchell & Ness has arrived to hook with the Air Jordan 3 “Katrina” shoes that are rumored to release in May 2018. 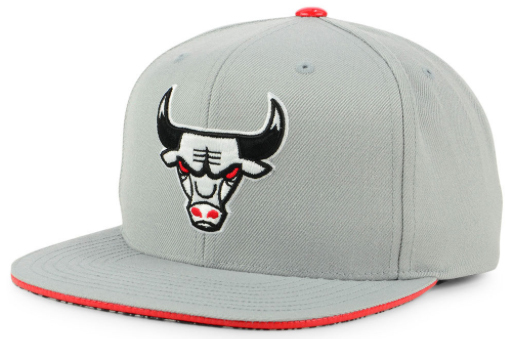 Following up on the first two Katrina 3 sneaker hook hats that surfaced not long ago, this Chicago Bulls Mitchell & Ness NBA Katrina 3 Pop Color Strapback Cap features a light grey colorway to match the shoe’s cement accents, with red, white and black Bulls branding to complement the kicks, plus elephant print on the inside. The Chicago Bulls Mitchell & Ness Katrina 3 Pop Color Cap is available at Lids.com. 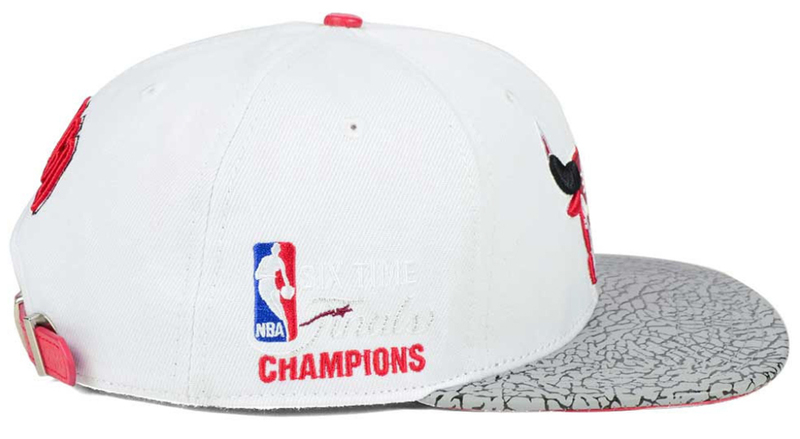 Arriving way ahead of the Air Jordan 3 “Katrina” sneaker’s rumored May 12, 2018 release date are these new Chicago Bulls Mitchell & Ness Katrina Three Snapback Caps that have dropped early to match the kicks. 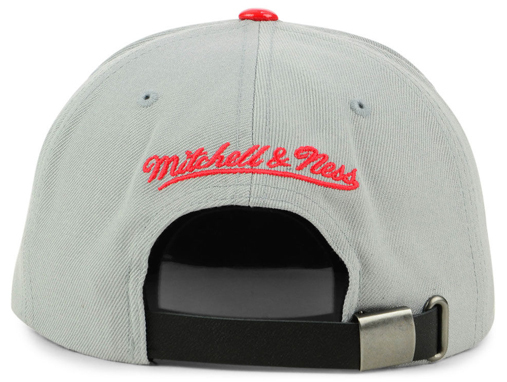 Looking to the shoes for colors and design cues, featured below are the Chicago Bulls Mitchell & Ness Katrina Three Cropped and Cement Snapback Hats that both hook well with the upcoming kicks, with embroidered Bulls branding on the front and Mitchell & Ness logos stitched on the back. 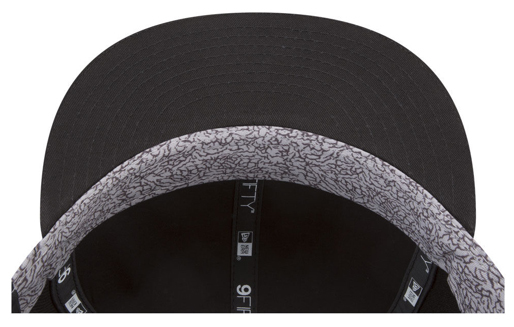 If you’ve got plans to grab the shoes when they launch in Spring 2018, be sure to secure these snapbacks to match the sneakers in advance. 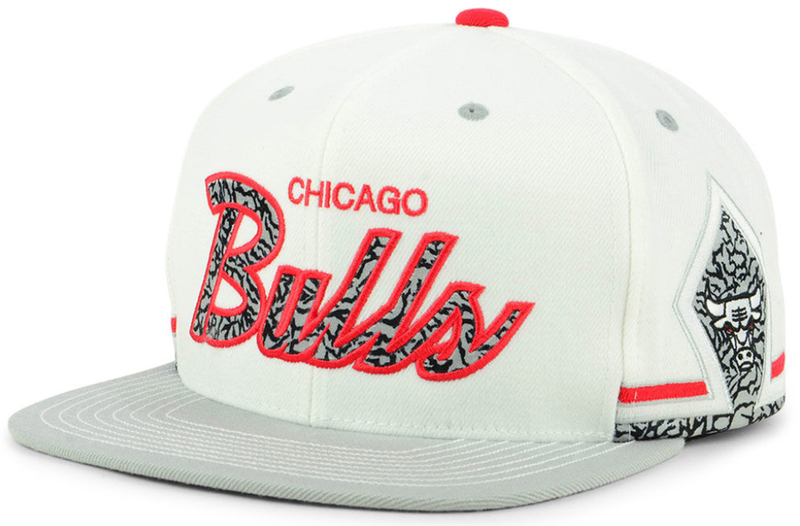 The Chicago Bulls Mitchell & Ness Katrina Three Snapbacks are available to buy here.